PSVR 2017: What Next for PlayStation VR? PlayStation VR may have been a little late to the party — both Oculus Rift and the HTC Vive touched down months before Sony’s head-mounted device — but at least so far, the device has maintained a steady sense of momentum since its launch in October of last year. A combination of timed exclusives (see: Batman: Arkham VR and Resident Evil 7), the PS4’s sizeable install base, and a relatively affordable price point has given the hardware that all-important competitive edge over its VR rivals, slowly nudging PlayStation VR closer and closer to becoming a bona fide commercial success. Indeed the latest figures put worldwide PSVR sales in the bracket of 915,000 as of February 19, 2017. That number represents those units sold through to consumers, as opposed to just shipped to retailers, and being just shy of one million after four months on the market isn’t something to be baulked at. For the sake of perspective, lifetime sales of the Rift and HTC stand at 243,000 and 420,000, respectively, so there’s no question that Sony has secured PlayStation VR’s place as the market leader in virtual reality — and in less time, too. But what’s next? Retail companies come down on the other side of the spectrum, believing that product availability will be just as important, if not more so, than the content itself. UK retailer GAME, for instance, is just starting to “see stock come back through” after the hectic Christmas period, when demand for PlayStation VR was through the roof. 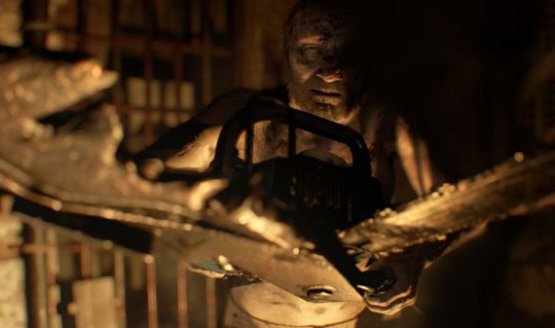 That appetite bled over into January, when PSVR received what is arguably its greatest experience to date in Resident Evil 7. Capcom’s back-to-basics horror revival was playable from front to back using Sony’s head-mounted device — you know, once you actually plucked up the courage — and barring some technical compromises, tip-toeing around the Baker Mansion via PSVR very much proved that virtual reality, when executed correctly, is more than just a gimmick. But we’ve said it before, and we’ll say it again: in order to truly appreciate PlayStation VR, you really need to try it for yourself. Sony is well aware of said conundrum. After hosting the Road to Greatness event late last year, the Japanese platform-holder is now said to be mulling over the possibility of bringing PSVR to the location-based entertainment market in Japan. A “slower-than-expected” adoption rate is said to be the main reason fuelling this strategy, which would see the hardware establish a presence across select arcades. Perhaps more than anything else, this tactic goes to show that if 2016 was the year in which affordable, consumer-ready VR made the leap from concept to reality, then 2017 is the year virtual reality has to prove its staying power — or lack thereof. Striking a healthy balance between availability and software will become crucial, then, and when Andrew House previewed PlayStation VR’s upcoming slate, SIE’s head honcho revealed that more than 100 VR experiences will make their way to the device before the year’s end. Just like we alluded to earlier, these experiences will no doubt range from full-blown games — your Gran Turismo Sports, your Farpoints — to those titles set to receive VR support retroactively, such as Fallout 4. Exactly what that video content will turn out to be is still up for question, but the PSVR’s ability to completely immerse the user in a virtual environment will no doubt amplify the experience. 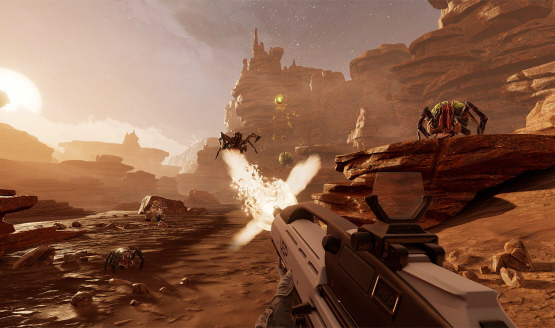 Gaming-wise, Farpoint and Gran Turismo Sport are undoubtedly the two biggest titles looming on the pixelated horizon — particularly the latter, which has enough brand awareness fuelling its engines to become a quasi-system seller for the head-mounted device, perhaps even pushing total unit sales closer to two million. Because let’s face it: no one, not even Sony, expected PlayStation VR to blow past five or ten million units during its first six months. PSVR is a luxury product, make no mistake about it, and even if the device is struggling in a handful of markets overseas, that install base will only continue to grow under the shadow of the PS4 which, incidentally, recently broke past 53 million worldwide. Comparisons have been drawn between PSVR and the PlayStation Vita, and it’s no secret that Sony has a history of introducing a quirky product to the masses, only for it to flop spectacularly — think of the Wonderbook, or the PlayStation Move’s stifling lack of support. To date, third-party support of PlayStation VR has been steady and diverse, and let’s not forget that Ace Combat 7 and Ubisoft’s long-anticipated Star Trek: Bridge Crew are both cramming up the pipeline, too. Long may that continue. PSVR is part of the PlayStation family, even if it will always be the quirky cousin. Six months have lapsed since its launch, and now that the hardware is within touching distance of that one million sales milestone, Sony’s device can surely be considered a success — so far, at least. But what are your thoughts on PlayStation VR hitherto? 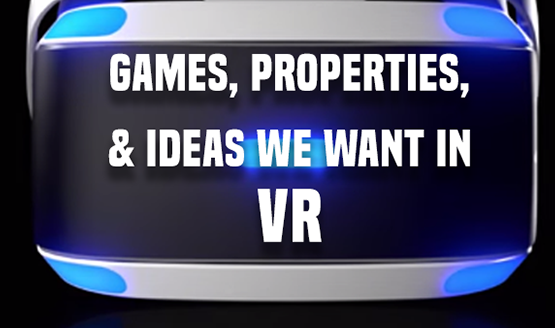 And do you believe PSVR 2.0 is a feasible option to explore?